Dr Karine Zander trained in the South West and obtained dual accreditation in anaesthesia and intensive care medicine before appointment as a Consultant at North Bristol NHS Trust (NBT) in 2008, where she works in both intensive care and anaesthesia. Her subspecialist areas of interest are intensive care medicine, obstetric critical care and upper limb regional anaesthesia. Dr Karine Zander has a strong interest in medical education and was awarded a Postgraduate Certificate in Medical Education from Bristol University in 2007. She is the educational supervisor and college board tutor for intensive care medicine and is also involved in simulation training at the Bristol Medical Simulator Centre where she develops and runs courses. 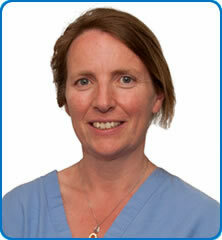 Dr Karine Zander is also the Southmead Hospital Bristol intensive care lead for organ donation.